Ferry Beach at Fleetwood is the one next to the Lower Lighthouse. 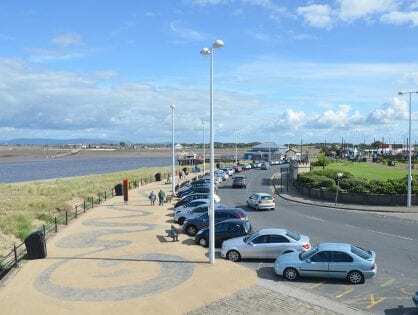 It’s across the road from Euston Gardens and is the beach next to Fleetwood RNLI lifeboat station, the ferry to Knott End, and the shops at The Esplanade. It’s a really lovely spot. You can park your car right against the edge of the sea and enjoy the view. 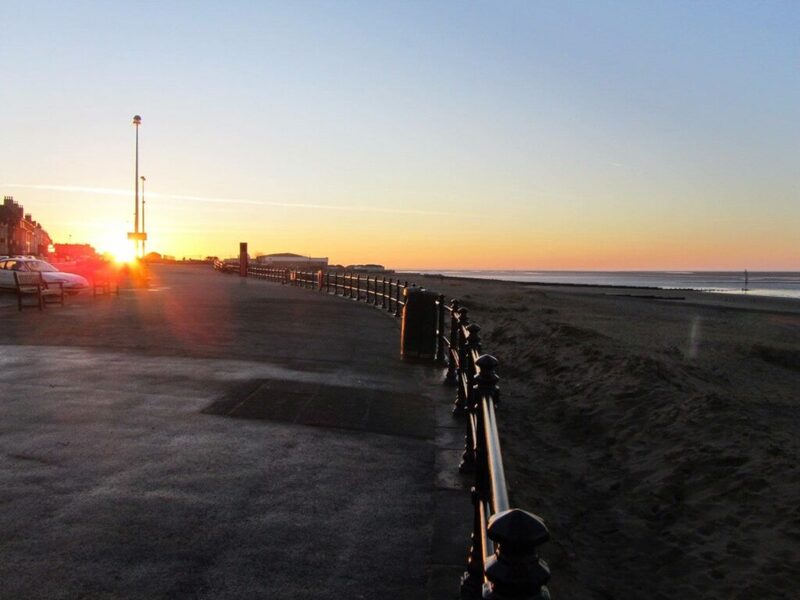 Or take a walk as far as you like – pausing to look at the memorials and artworks which line the sea front. 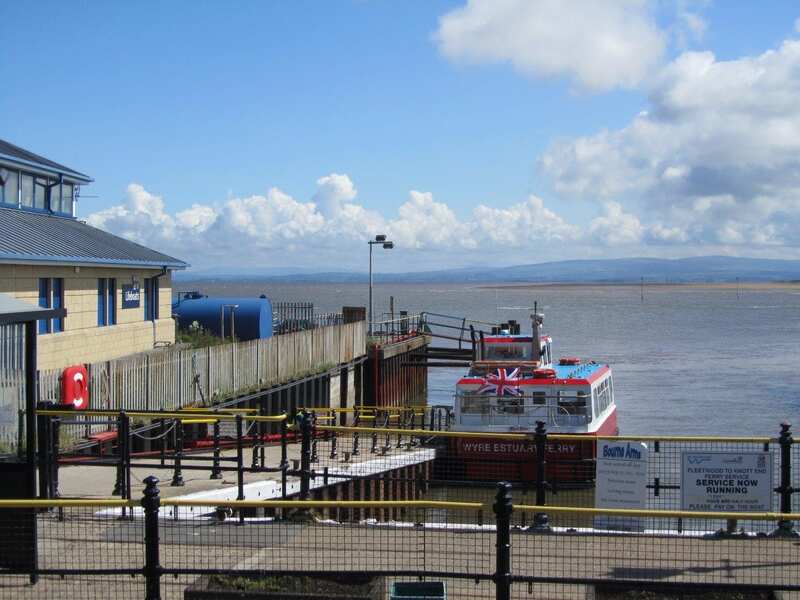 The video clip below looks over the River Wyre Estuary, taken from the side of the boat launching facility, looking at the boats and the view beyond over Morecambe Bay. The white building in the distance is Heysham power station. 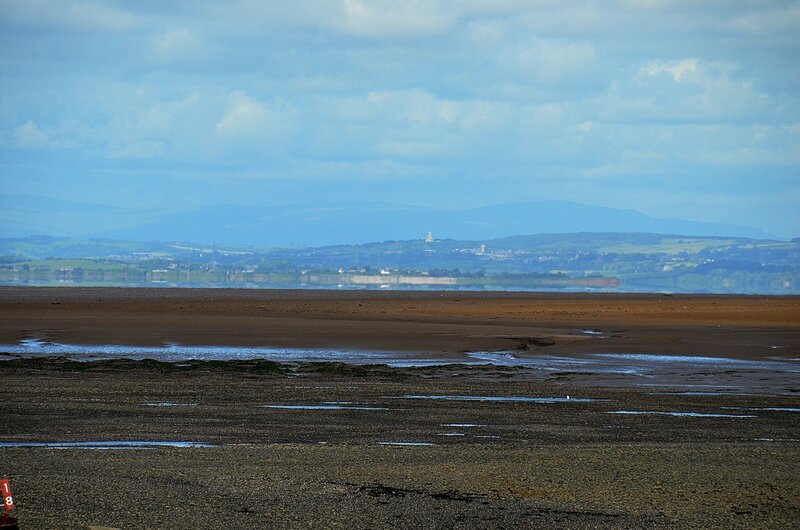 In the distance is the landscape of Lancaster and the Lake District and in front of you a sandy beach. It’s home to colonies of sea holly in its natural habitat, which in turn attracts lots of wildlife.  The beauty of this area is that the beach is right against the seafront parking area. 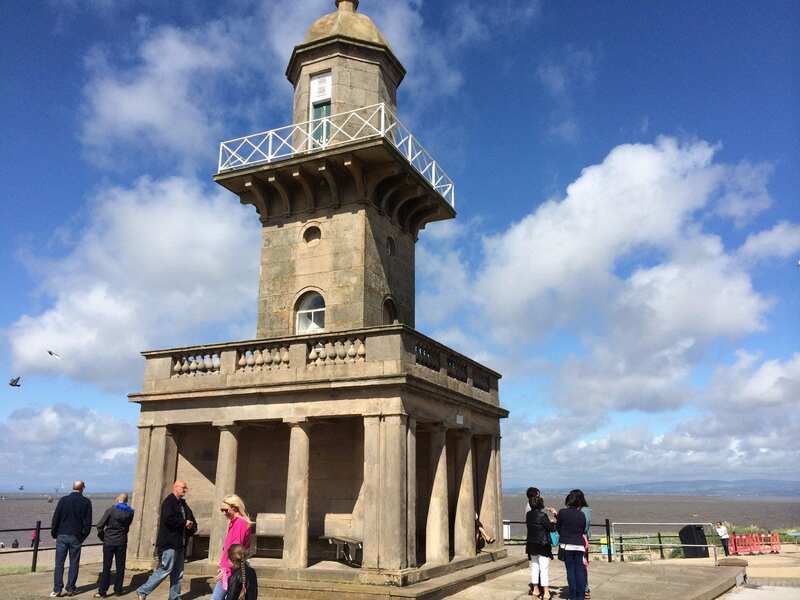 You can enjoy sit here in your car and watch the view across Morecambe Bay to the Lakes, Lancaster and beyond. Especially since the parking bays are arranged pointing straight at the view! Straight across the water you can see Lancaster and the power station at Heysham is clearly visible as a big white building. Grange Over Sands, Barrow and Walney Island are all visible on a clear day. 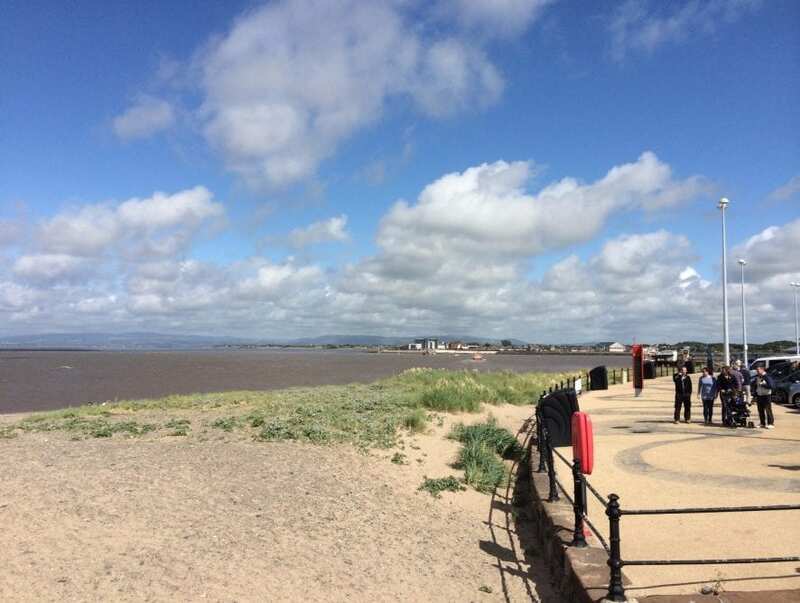 Ferry Beach is on the bottom edge of Morecambe Bay, where the Wyre Estuary opens up into the Irish Sea. The Wyre Estuary itself is a wide and sandy habitat which is ideal for the flocks of waders and sea birds. 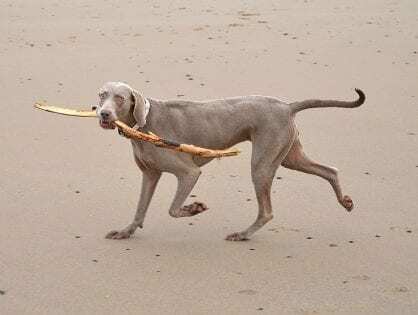 It’s not at all ideal for people who might think they can venture onto its dangerous banks. Please DO NOT go off the immediate foreshore and out onto the sandbanks. Did you know? That Morecambe Bay officially stretches as far as the golf course, where the new Rossall sea wall begins. 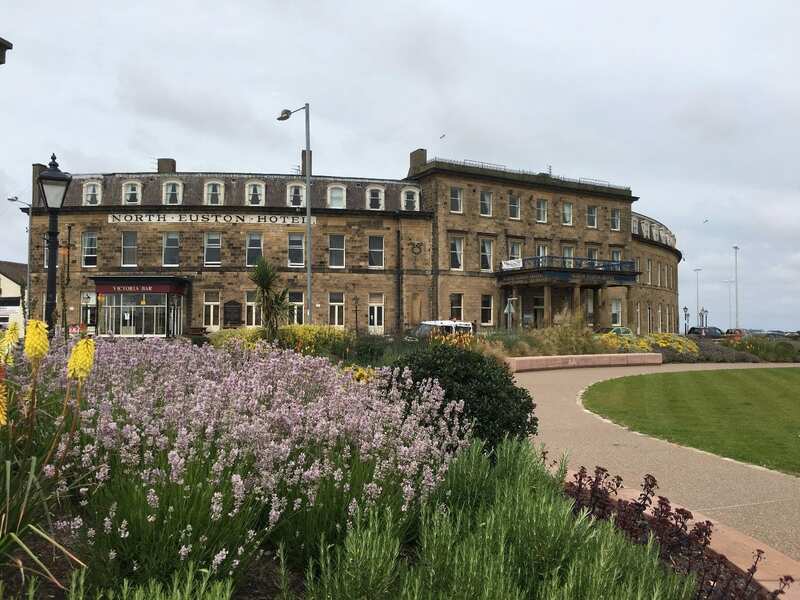 Turn around and look inland and you’ll see the North Euston Hotel, fronted by the recently restored Euston Gardens. 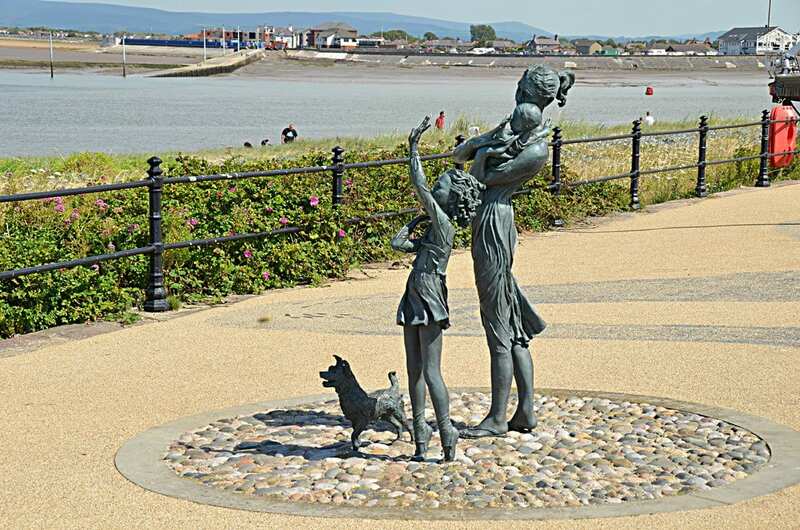 You’ll see a number of different memorials and pieces of public art on the wide seafront promenade adjacent to Ferry Beach. Everybody’s favourite is the ‘Welcome Home’ statue below. A woman with children and their pet dog, waiting to welcome home their men folk from the sea, just as generations of families have done over the years. It was provided by Mrs Lofthouse and Fisherman’s Friend – the famous lozenge made right here in the town. It was designed and sculpted by Anita Lafford. 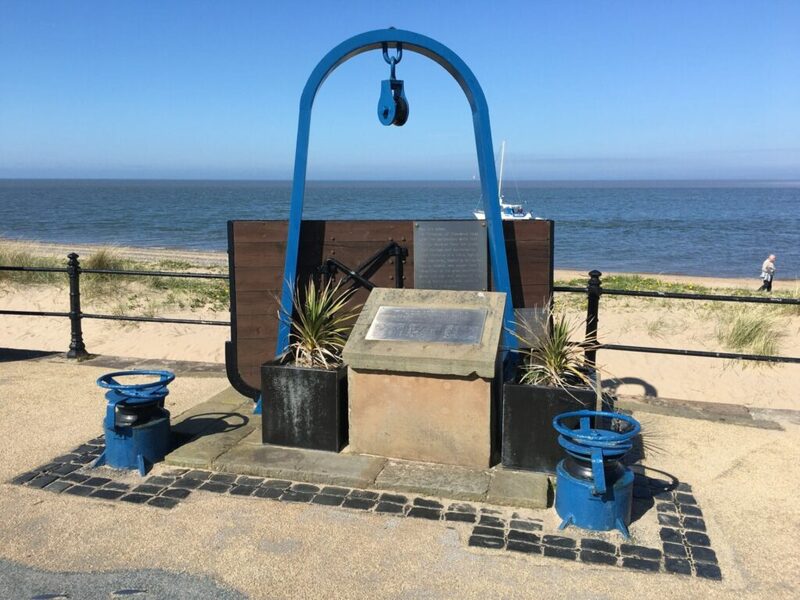 The ‘Price of Fish’ memorial depicts equipment from a trawler and was created to recognise the great contribution which the men and women of the fishing community made to the life of Fleetwood. 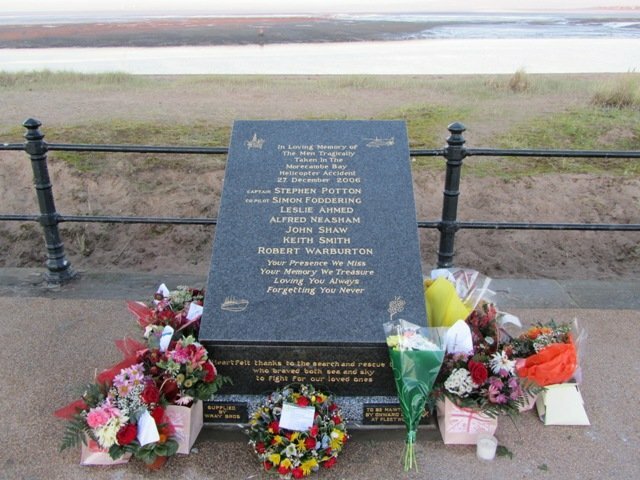 The real ‘Price of Fish’ is the lives of the men lost in fishing operations, listed in the plaque on this memorial. Seven men tragically lost their lives in this incident, and they are remembered in this enduring memorial. On this stretch of promenade you’ll also see interpretation signage telling local stories. 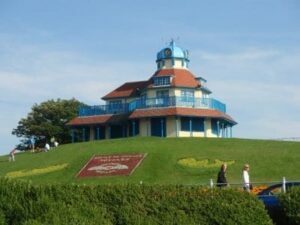 You can’t miss Fleetwood Lower Lighthouse on The Esplanade at Fleetwood. Standing in the face of all weathers, year in and year out it watches over Ferry Beach, guiding ships to shore. It’s one of three lighthouses in Fleetwood. 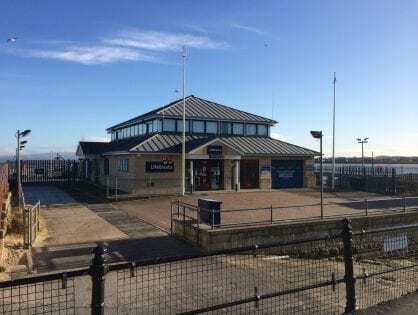 The RNLI have their lifeboat station on the The Esplanade at Ferry Beach. It includes the launch facility and a retail shop which is well worth a visit. Adjacent to the RNLI (on the left as you look at it) is another boat launch and training facility which is owned and operated by Blackpool and the Fylde College. 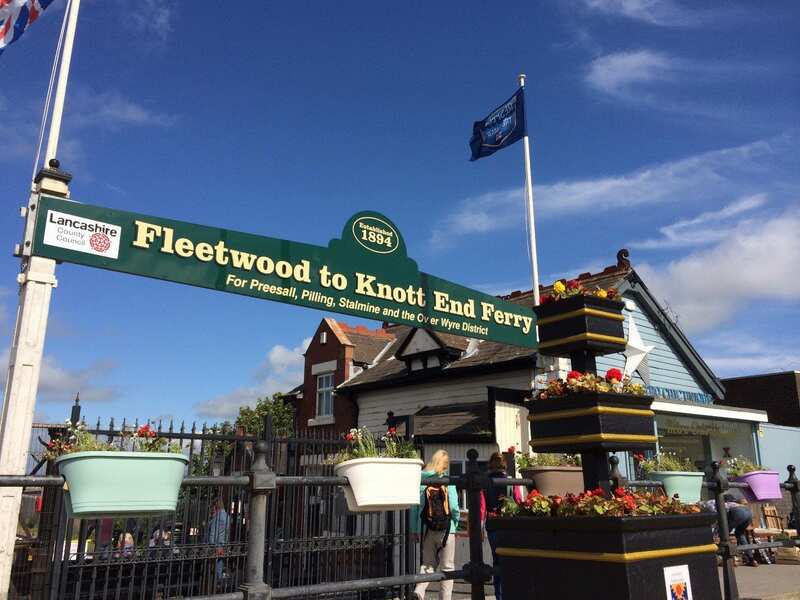 Fleetwood Ferry is both a regular form of transport for the residents of Knott End and Over Wyre, and a popular tourist attraction. 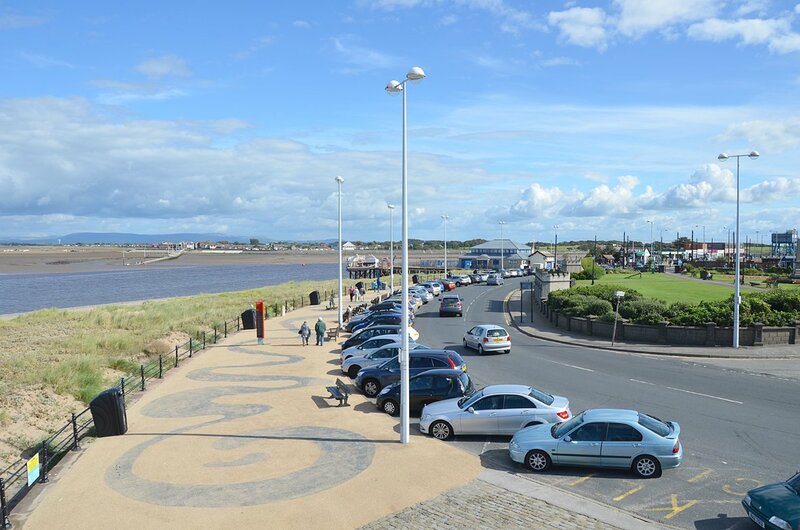 From the crossing point on The Esplanade, you can take the short ferry ride across the River Wyre to Knott End. 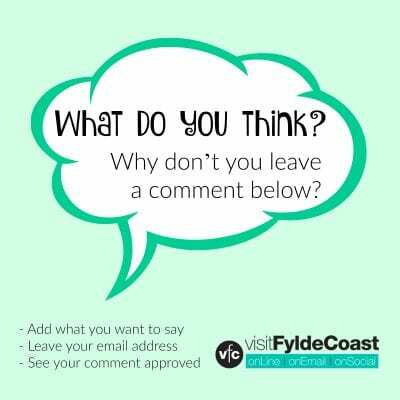 Explore not just the immediate area, but carry on walking through beautiful countryside and enjoy all that the Over Wyre* area has to offer. 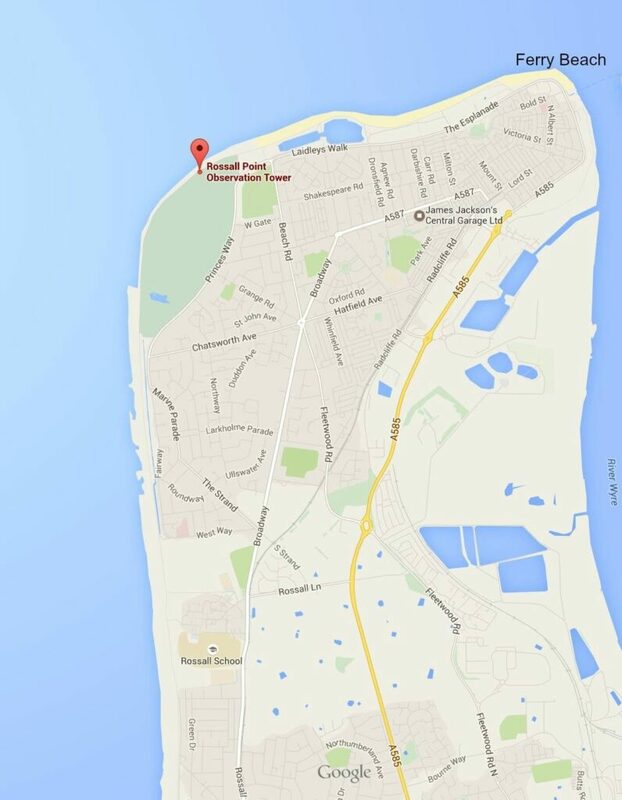 *Over Wyre is the land ‘over the River Wyre’ – the rural areas of Preesall, Pilling, Stalmine, etc. The alternative to crossing the river by ferry is a fairly long road journey. Travel inland along the A585 and the next crossing point is over the River Wyre at Shard Bridge. 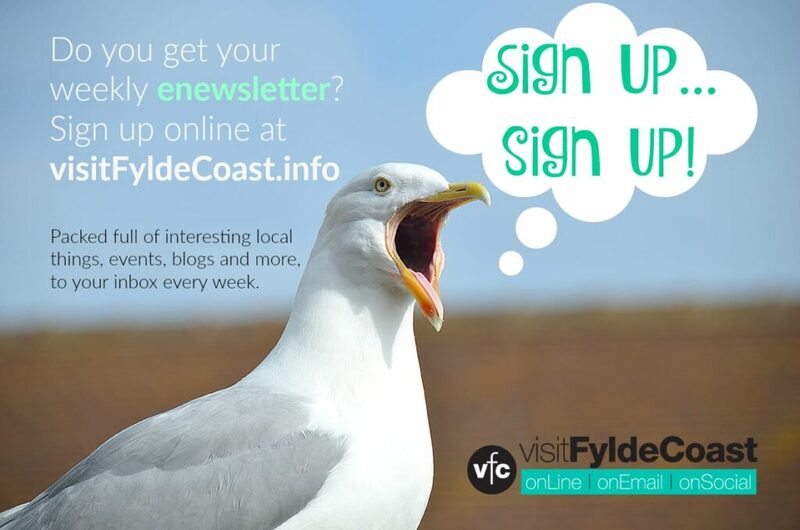 You might not perhaps think it, but, along with the rest of the Wyre river estuary from Rossall Point, the beach is actually a Site of Special Scientific Interest, because of the plant and wildlife that can be found here. In recent years, the protection has led to an overgrowth of non-native and often invasive species like sycamores. These were removed at the back end of 2011, along with the enriched sand dune in which they were growing, to enable the protected species (particularly sea holly) to thrive and not be outcompeted. 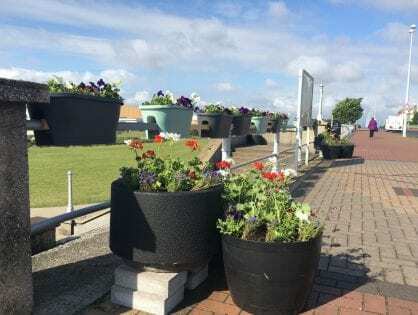 This clean-up work included cutting back vegetation and dropping the beach level by about a metre next to the sea wall, from the RNLI Lifeboat Station up to the site of the former Fleetwood Pier. Wyre Council carried the work out, in conjunction with Natural England, to ensure that protected species weren’t damaged. 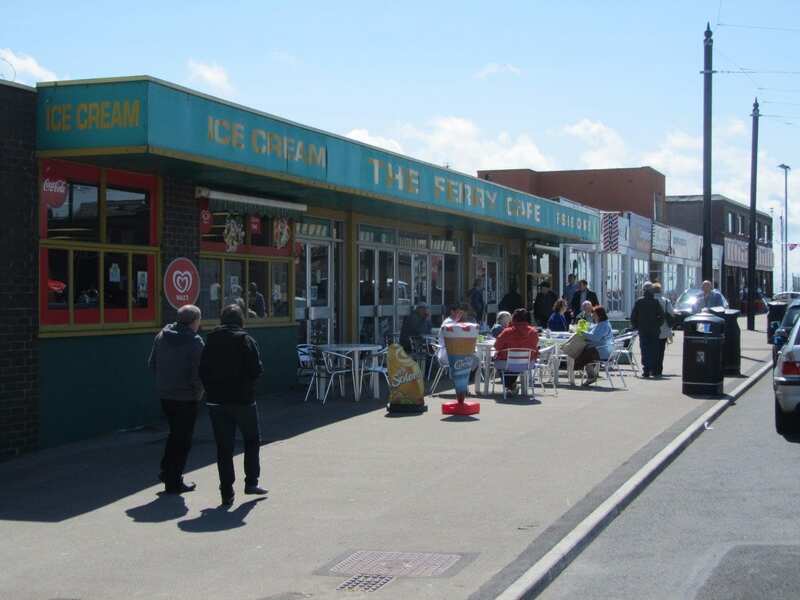 Just past the RNLI you’ll find a block of shops, along with proper seaside fish and chips and an amusement arcade. It’s a lovely spot to while away a few hours, whatever the weather!